Are you ready for Praescient’s team of skilled instructors to deliver training and help your organization take advantage of advanced analysis software? Register HERE for open Analyst’s Notebook classes. Classroom and Online courses available. Praescient Analytics training staff delivers training on advanced software platforms and can provide consulting services your organization on a range of other advanced technology tools. We offer training at customer locations via our rapidly-deployable mobile training team or at our site located in Northern Virginia. We work with you to develop tailored course curriculum and training based on your organization’s needs. Description: The Certified Analyst’s Notebook Professional Training Course (ANB-PTC) Course combines the Analyst’s Notebook Basic Training and Analyst’s Notebook Advanced Training Courses in four days of intensive, scenario-based training designed to produce an advanced Analyst’s Notebook front-end user. Description: This two-day (16 hours) course is designed to provide new Analyst’s Notebook users with strong baseline knowledge of the platform’s application in support of their organization’s analytical needs.. Students will pursue a comprehensive view of the Analyst’s Notebook platform and its most used analytical tools in order to become proficient users. The course is scenario-based to directly aid students in understanding the relevance of Analyst’s Notebook tools to their everyday workflow(s). The course culminates in a practical exercise to test the knowledge and skills gained throughout the instruction period. Description: The two-day (16 hours) course consists of advanced instruction in the use of Analyst’s Notebook and is designed to build advanced knowledge of the application. Students will pursue in-depth knowledge of the Analyst’s Notebook platform and its complex functions, building on the proficiency gained from the Basic Training Course or other experience. The course is scenario-based to directly aid students in understanding the relevance of Analyst’s Notebook tools to their everyday workflow(s). The Palantir platform is an all-in-one analysis suite that provides geospatial, relational, and temporal analysis that is particularly useful on small or medium size data sets. Praescient’s embedded analysts and software engineers have leveraged this platform against many global challenges including counter-terrorism, anti-money laundering, law enforcement investigations, and cybersecurity. You can take advantage of this platform’s exceptional capabilities with our signature Palantir training offerings. The CPP-FEU Course combines the Palantir Boot Camp, Intermediate Palantir Training, and Advanced Palantir Training courses, along with the CPP-FEU exam in four days of intensive, scenario-based training designed to produce a Palantir Front-End Subject Matter Expert (SME). The CPP-IM Course goes beyond the CPP-FEU Course to provide leaders with the knowledge they need to manage users and conduct Palantir system administration tasks. Topics of the three day course include: account creation and management, Access Control Lists (ACLs), data management, troubleshooting, ontology management, and desk-side support. The CPP-T injects educational practices, training, and structures into the delivery of the Palantir platform in an intensive and rigorous two-week interactive workshop format and certification exam. 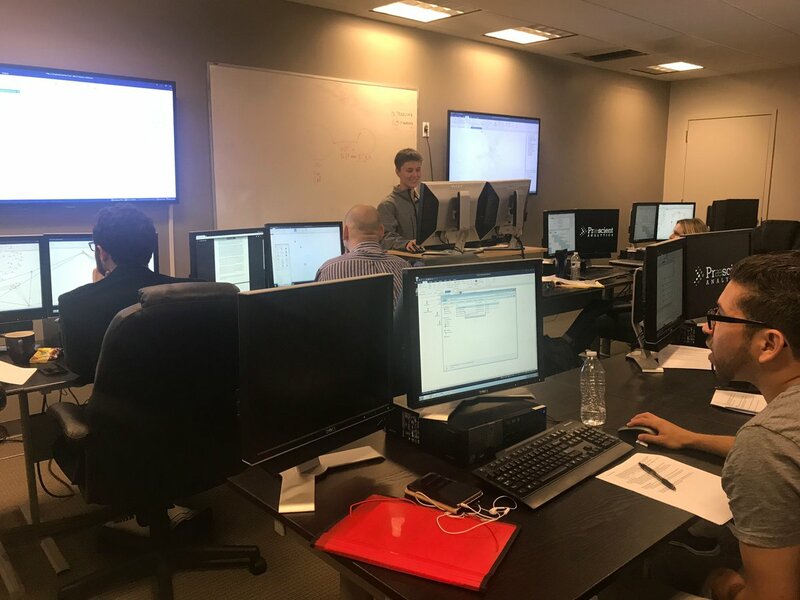 Following the completion of training, students will be certified to train Palantir users in formal large classroom settings, informal office environments, and individual desk-side training sessions. Students will develop and create lesson plans and build / evaluate practical exercises. They will also learn how to design and focus training around organizational requirements. This eight-hour course is comprehensively designed to provide new Palantir users with functional knowledge of the platform’s front-end user interface in support of their organization’s analytical needs. The course uses scenario-based exercises to directly aid students in understanding the relevance of Palantir’s applications and helpers to their everyday workflows. This challenging eight-hour course continues to examine the scenario-based exercises in PBC to build a more comprehensive view of the Palantir workspace overall. IPT consists of instruction in the use of Palantir’s front-end user interface to build greater proficiency with the platform’s workspace beyond that imparted during the apprentice-level PBC. IPT students will learn to utilize the Palantir platform to enhance the analytical and critical thinking processes necessitated by their workflows. This eight-hour course consists of advanced instruction in the use of Palantir’s front-end user interface and is designed to build master level knowledge of the workspace. A comprehensive practical exercise requiring advanced level application of the user interface is administered during the following morning as preparation for the CPP-FEU Certification Exam. A requirement to earn (or recert) the CPP-FEU designation, this exam consists of two mandatory parts: a two-hour hands-on exam using the Palantir platform and a two-hour academic exam. Both parts are given in a Learning Management System (LMS). The Ayasdi platform easily ingests and analyzes extremely complex datasets using Topological Data Analysis (TDA). The software distills actionable insight from highly complex and growing datasets. 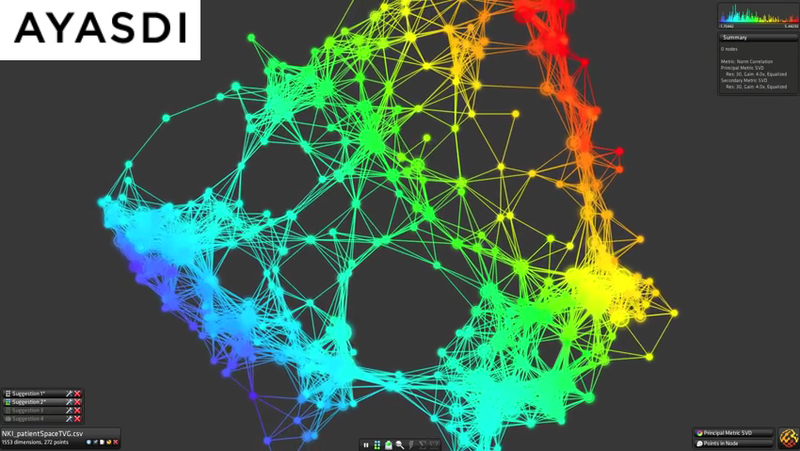 It uses sophisticated algorithms combined with topological data analysis to accelerate the discovery of insights that were hidden or previously overlooked by conventional analytical approaches. Ayasdi Core has been used in the financial, healthcare, energy, consumer, and technology sectors. This three day (24 hour) course provides users with a complete understanding of the platform and its capabilities. The course includes an introduction to Topological Data Analysis (TDA), basic and advanced platform functionality, and hands-on practical exercises designed to impart a complete understanding and mastery of the interface. Praescient’s Structured Analytic Techniques course is a carefully developed, premium training offering that uses an application-focused curriculum built around scenario-based practical exercises, adult learning, and advanced methodologies. SATs make the analytical process explicit and enable collaboration – allowing analysts to multiply their skills, understand their vulnerabilities, and ultimately achieve success for their organizations. This is a five-day, specialized training program designed for advanced analysts with extensive experience utilizing the analytic platforms. This is a custom-designed course per client typically built around one day of formal classroom instruction reinforced by four days of practical application. Five-day comprehensive training that arms students with the knowledge and training to function as analytic workspace experts who are able to implement workflows proven to succeed across a multitude of organizations at the forefront of analysis. The course is structured as three days of instructor-led direct instruction methodology followed by a two-day scenario-based applications learning environment. 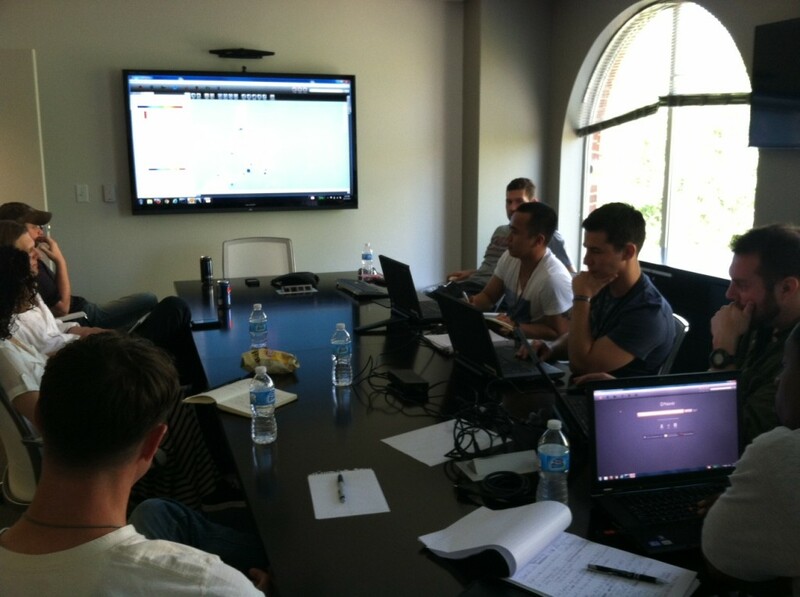 The course content, analytic methods, and workflows are customizable upon client request. Given access to a client’s analysts and familiarization with the client’s analytic workflows and challenges, Praescient’s curriculum developers will collaboratively execute a training needs analysis to identify training/ performance gaps at both the individual and organizational level. With the results of that analysis in hand, we will build a highly focused training program to close, or mitigate, the identified gaps, or simply to take the client’s analysts to even higher levels of critical thought and analytical productivity. If a succinct, comprehensive review of your organization’s existing training program is needed, Praescient’s training consultants and curriculum developers stand ready to assist. In close coordination with the client, we will conduct a thorough evaluation of the client’s existing training program and provide a brief-back with possible courses of action for any areas identified as “needs improvement,” or which could simply be taken to a higher level of learning and productivity. Already have a product to market, but are in need of a team of professional curriculum developers and trainers to drive up user adoption rates? Or perhaps just not interested in being the training end of business? Then, Praescient’s Training Team is what you’re looking for. We’ll take your current (or non-existing) training program and produce a world-class training program for your product – one that tightly aligns with your organization’s strategic objectives and vision.